Carrie Brownstein and Fred Armisen, the comedy team that “put a bird on it,” wing their way through the eighth and final season of their IFC quirk-fest beginning Thursday. 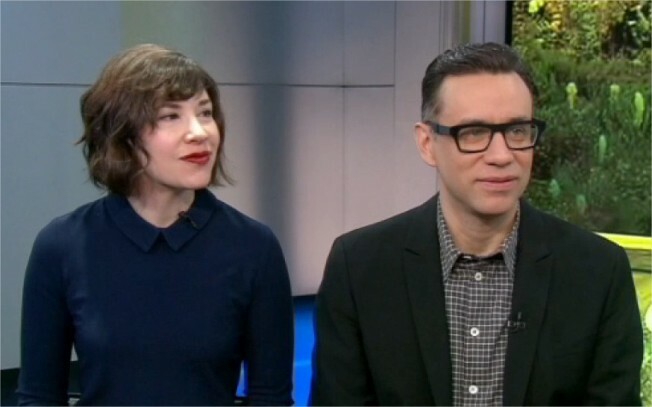 Fred Armisen & Carrie Brownstein stop by to talk about the new season of IFC's "Portlandia" and how they come up with some of the crazy ideas on the show. In the first season of “Portlandia,” Carrie Brownstein and Fred Armisen played Lisa and Bryce, a couple of well-meaning goofballs who declared that adding an image of a bird to anything – teapots, tote bags, even toast – essentially amounted to a buoyant artistic statement. The 2011 cry of “Put a bird on it!” also amounted to a comedic statement – becoming the siren call of the offbeat IFC series, which lovingly spoofed the citizens of a hipster-flavored city that revels in keeping things weird. Brownstein and Armisen succeeded, even if fans’ obsession with the show could never match the stars’ mania for “Battlestar Galactica.” Now the duo is set to kickoff the eighth and final season of their IFC quirk-fest Thursday, as the ode to the eccentric starts its swan song. “Portlandia,” unlike Armisen’s previous gig on “Saturday Night Live,” never strived strictly for current events-driven comedy. But its off-kilter humor arrived rooted in place, if not always time. Brownstein and Armisen’s Portland is a city where brunch ranks as a contact sport, where knot sales represent an artisanal business and where Kyle MacLachlan serves as mayor (and be part of what, by default, is the second-strangest Northwest-set show of his career). The twin peaks of “Portlandia” are best embodied in the multiple couplings inhabited by Armisen and Brown as they explore gender dynamics, among other areas. There’s stuttering Peter and game-for-anything Nance, whose quest to learn the backstory of their free-range chicken dinner leads them on a life-changing odyssey. There’s high-talking Nina and low-talking Lance, whose alpha-male motorcycle fixation threatens to drive them apart. Then there’s Candace and Toni, who run the Women and Women First bookstore, where the customer is always wrong. In their own ways, the various characters vie to make their inner vision of the world a better place, whether by selling pillows that resemble female anatomy (like Candace and Toni) or by putting a bird on a vase in a gift shop (like Lisa and Bryce). In the “Bird” sketch, things go awry when an actual feathered flyer arrives and wrecks the joint – a familiar “Portlandia” device of a reality intruding on fantasy and generating gentle laughs. The realty of “Portlandia” is that Brownstein and Armisen made comedy a weirder and better place for seven seasons. They’ve got 10 more episodes to go before capping a deceivingly clever show that’s easier to put a bird on than a label.